The Big Apple. The Concrete Jungle. The city never that sleeps. It doesn’t matter what you call it, New York is undoubtedly one of the most vibrant, electrifying cities in the world. Modern New York is the epitome of diversity, with countless languages and cultures all shuffling along its crowded streets. Such is its influence, it has been called the financial, cultural and media capital of the world. Made up of five boroughs – Brooklyn, Queens, Manhattan, The Bronx, and Staten Island – there are endless possibilities stretching across all corners of the city; from world-famous monuments to museums to shopping and restaurants serving every possible cuisine you can think of. And this is without mentioning the coffee shops, the sporting heroes, those iconic skyscrapers you’ve seen in movies and a little something called The Statue of Liberty. Ah New York, New York – there is undoubtedly something for everyone. There are three main locations where cruise ships dock in New York. The passenger terminal on the west side of Manhattan is close to midtown – making it ideal for those who want to sample the inner portion of the city. The terminal underwent a series of upgrades in 2004 in order to serve the world’s biggest ships. Brooklyn Cruise Terminal, which opened in 2006, is in the Red Hook area, close to a number of restaurants and shops. It has 200,000 square feet of terminal space, as well as dedicated embarkation and debarkation areas. 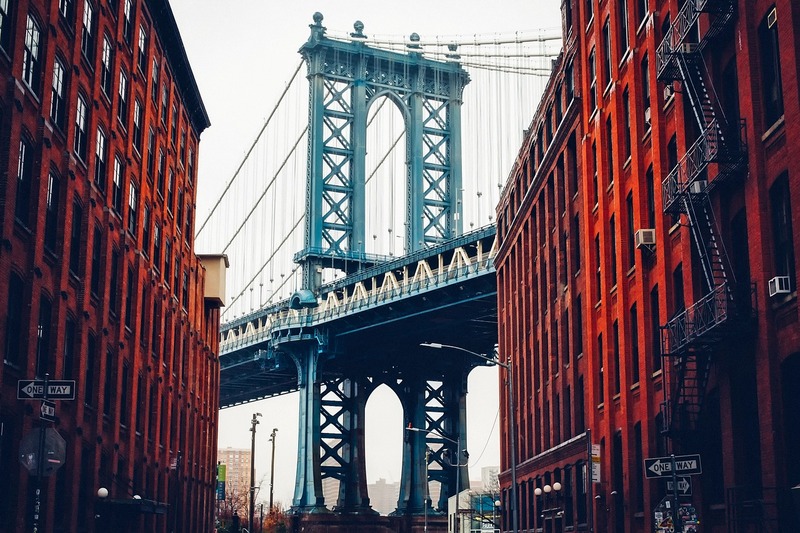 But, unless you’re planning to explore Brooklyn, you’ll need a transfer into the city. While Royal Caribbean and Celebrity Cruises dock at the Cape Liberty Cruise Port, Bayonne, which is approximately seven miles from New York City. You’ll need a transfer! Central Park: Unique among the iconic, high-rise New York skyline is Central Park. A walk in this park is unlike any other, with numerous monuments and attractions, such as Central Park Zoo, along the way. The park also hosts events throughout the year, including performances, a film festival and walking tours. But, really, all you want to do is grab a cup of coffee and watch the world go by. Empire State Building: Once the world’s tallest building – and an engineering marvel for the time it was built – the observation deck of the Empire State Building provides some of the best views of New York. But, nowadays, it is the story of this iconic building’s construction which attracts visitors and the fascinating ‘Dare to Dream’ exhibit tells the story of the planning and construction of the building through original documents, photos and construction notes. High Line: This popular public space can trace its history back to 1934 when it first opened as a railway, transporting goods to-and-from Manhattan. The line moved its last train in the 1980s, and by 1999, the ‘Friends of the High Line’ group had been formed to renew the area as a public space. Today, it offers plenty of greenery and great views of Manhattan, as well as tours, cultural events, stargazing and workshops for children. Something a little different from the usual highlights. Lombardi’s: Grab a slice at this New York institution which was recently inducted into the ‘Pizza Hall of Fame’ (obviously) for being the first pizzeria to offer take-out slices. Nathan’s Famous: You can’t visit New York and not try a hot dog. You won’t struggle to come across a Nathan’s Famous hot dog truck – just make sure you get it with fries. Katz Delicatessen: Visit an authentic New York deli and tuck into some comfort food with a good cup of Joe. Recognise it? That’s because this is the diner from that famous scene in When Harry Met Sally. Fifth Avenue: This is the shopping district for New York and it is here you’ll find stores such as Tiffany’s, Armani and that giant Apple store that dominates the skyline. Brooklyn Flea Market: For something a little different make your way over to the Brooklyn Flea Market – here you’ll find the vintage styles the New York hipsters can’t get enough of. New Yorkers are famously gruff. Best to stay on their good side by walking on the right and having your card ready on the subway! If you are planning a cruise to New York then you may also be interested in checking out the latest ocean and river cruise news and our most recent American cruising features.